Alfred Ball | Tommy's Footprints…..
July 1917 – news has been received the Government proposes to acquire and fell timber in the locality. The Government has selected the Coopers Hill Plantation which is fondly known and enjoyed as ‘The Pines,’ together with areas in the Millbrook district and 500 acres near Aspley Heath. 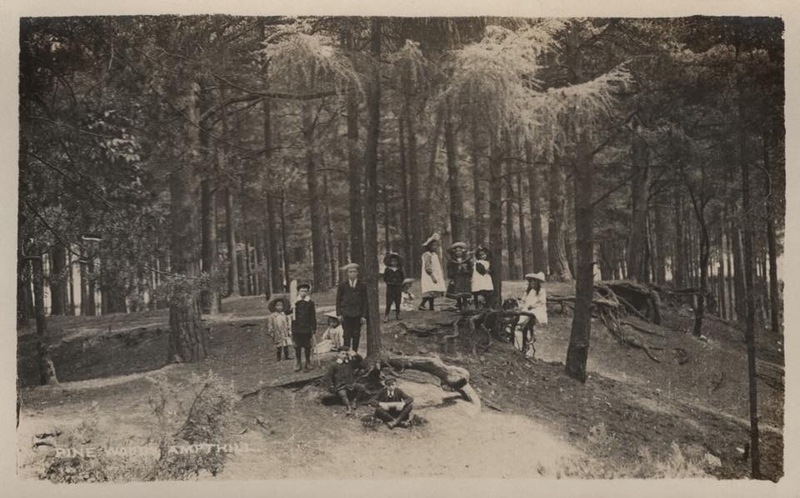 A special meeting of Ampthill Urban District Council was convened and unanimously resolved to protest strongly against the felling of The Pines on the grounds that it is one of the main features and chief attractions of the town, and provides the only open space in proximity to the town, to which the public have open access; and also on the grounds of the health-giving properties of the pines, particularly in cases of pulmonary affection, which has made Ampthill for many years a health resort for numberous visitors. The Council also resolved to implore Local Members of Parliament to use their influence, and a petition will be opened for signature by the ratepayers. This month 12 Ampthill recruits have been killed in action or died of their battle wounds. Three of the boys – Privates Bransome, Elsdon and Ball – come from Luton. Private Stocker trained with the Bedfords’ and was killed serving with the 21st Machine Gun Gorps. Next installment to be published on 31 August 2017…. This entry was posted in Ampthill Command Depot, Bedfordshire Training Depot, Camp Diary, Canadian Forestry Corps, Uncategorized and tagged Alfred Ball, Ampthill, Ampthill Command Depot, Ampthill Park, Ampthill Urban District Council, Arthur Butcher, Aspley Heath, Bedfordshire Regiment, Bedfordshire Training Depot, Camp, Camp Diary, Canadian Forestry Corps, Charles Hall, Coopers Hill, Duke of Bedford, Ernest Elsdon, Frank Jeffs, George Hills, George Kilby, Great War, Herman Porter, Joseph Bransome, Millbrook, Mr Hall, Percy Reeve, Robert Ambrose, Robert Stocker, Sidney Read, The Pines, Walter Goodman, WWI on July 9, 2017 by Ste H.